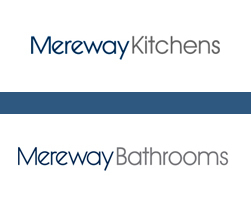 Mereway Kitchens, Part of The Mereway group, are leading manufacturers of high quality kitchen furniture, supplying to an extensive network of independent retail outlets nationwide since 1986. Mereway have had a number of employees study ILM Leadership and Management courses with BDM and recently three successful learners received their certificates from BDM director, Ian White at a presentation the Mereway headquarters in Birmingham. Kenny Bagley and Paul Torrence completed the ILM Level 3 Higher Management Apprenticeships with Richard Weston completing the Level 5, and stating that "It (the qualification) has improved many aspects of my personal performance in my role. Such as time management." Also present at the presentation were Mereway co-managing directors Bob and Richard Noris who congratulated the learners on their achievements whilst emphasising the organisation's commitment to the continued training of managers.